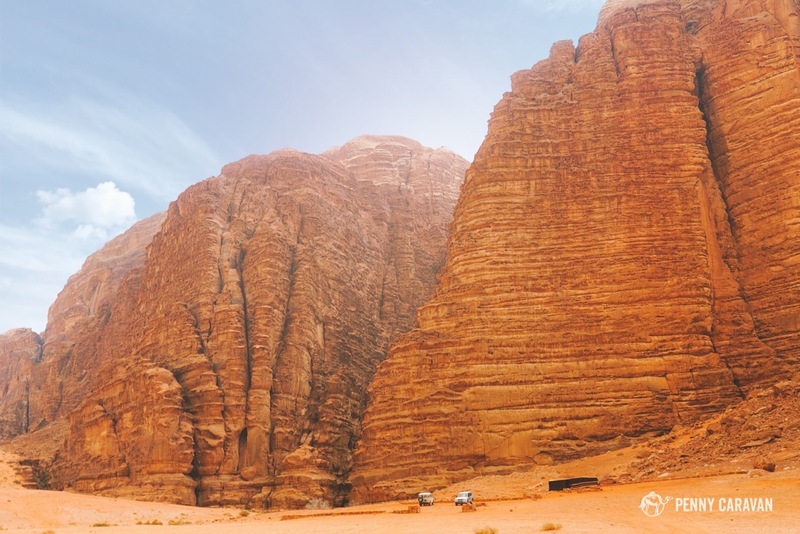 When planning your trip to Jordan you simply must include at least a day to visit Wadi Rum. 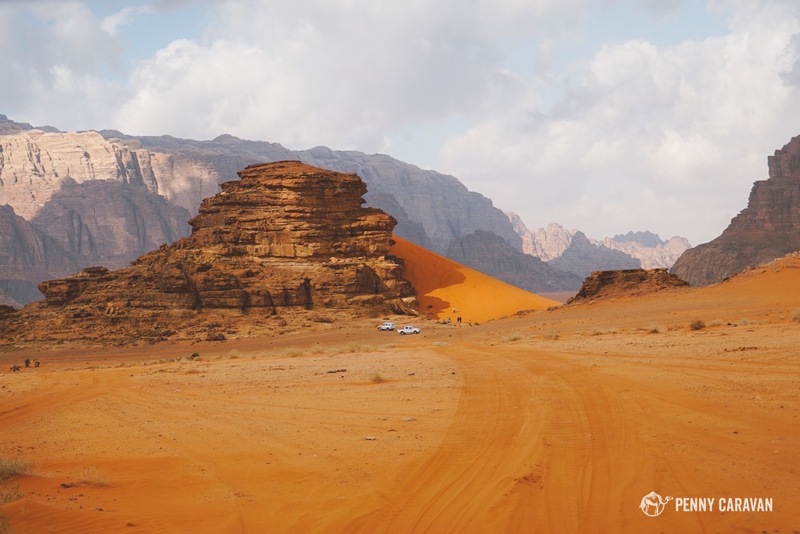 The otherworldly landscape has become increasingly popular with travelers, and the local Zelabia Bedouin people have created a vibrant tourism industry taking visitors across the red desert landscape in their 4x4s and offering camel and horseback rides. 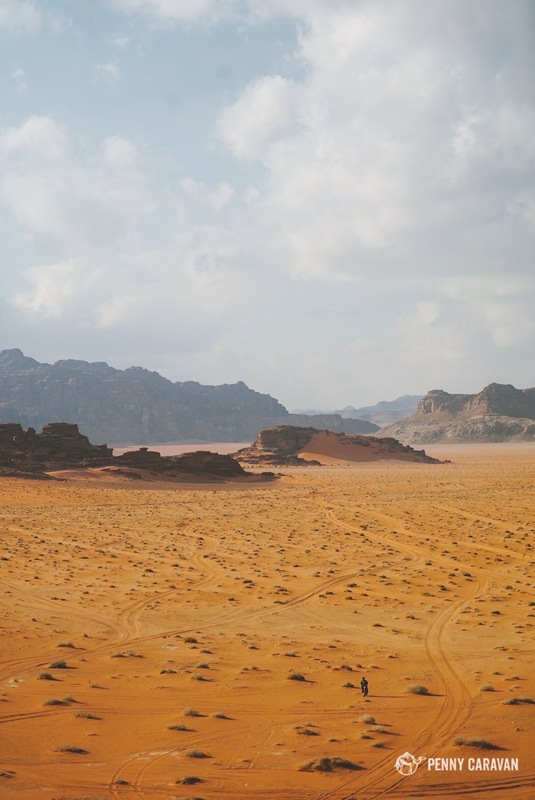 Overnighters have a large range of Bedouin camps to choose from and can see the Milky Way in full view with virtually no light pollution around. 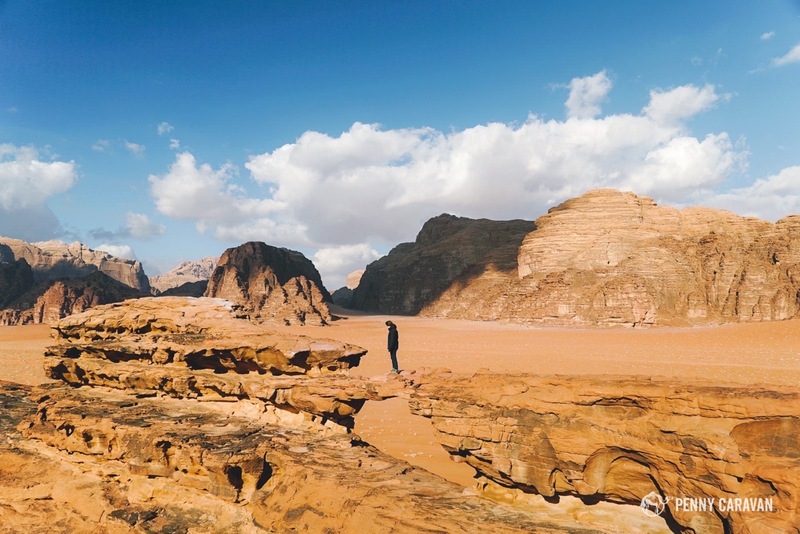 Wadi Rum is located in the south of Jordan, a fairly short drive from both Aqaba and Petra. The valley of sandstone and granite is notable for its Mars-like red color. Indeed, it has stood in for Mars on a number of films, most recently 2015’s The Martian. It’s also famous for its association with T.E. 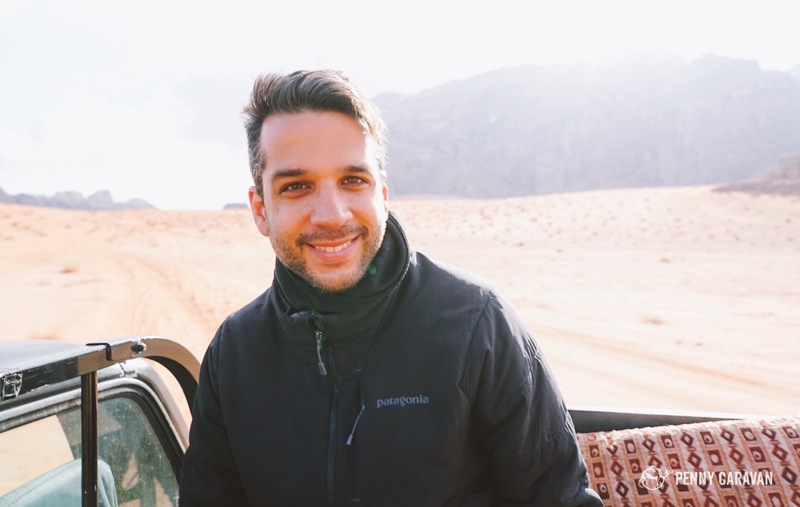 Lawrence, who passed through Wadi Rum during his campaign and the Arab Revolt of World War I. 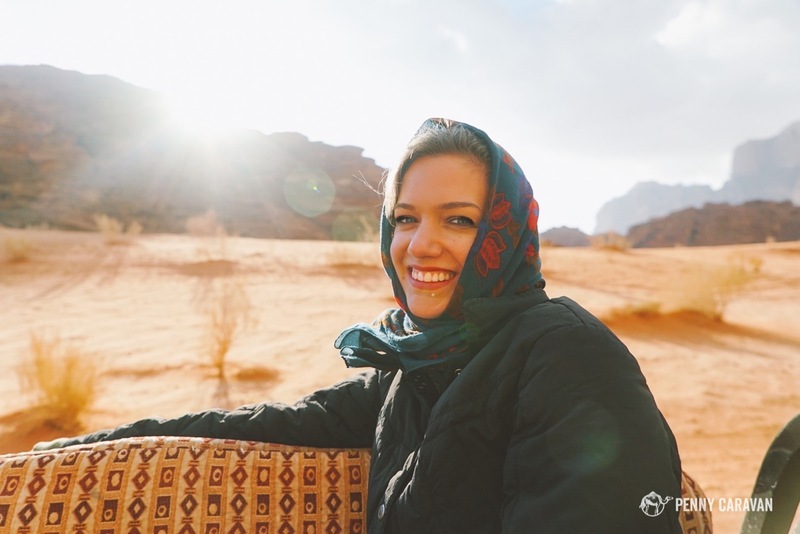 Visitors first arrive at Wadi Rum Village, which is a permanent establishment for the local Bedouin community. If you’ve made prior arrangements, you’ll meet your contact here. 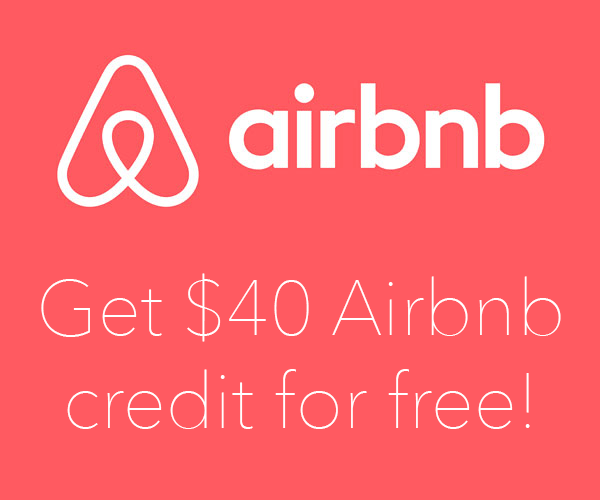 If not, it’s easy to find several locals to hire for whatever excursions you are interested. 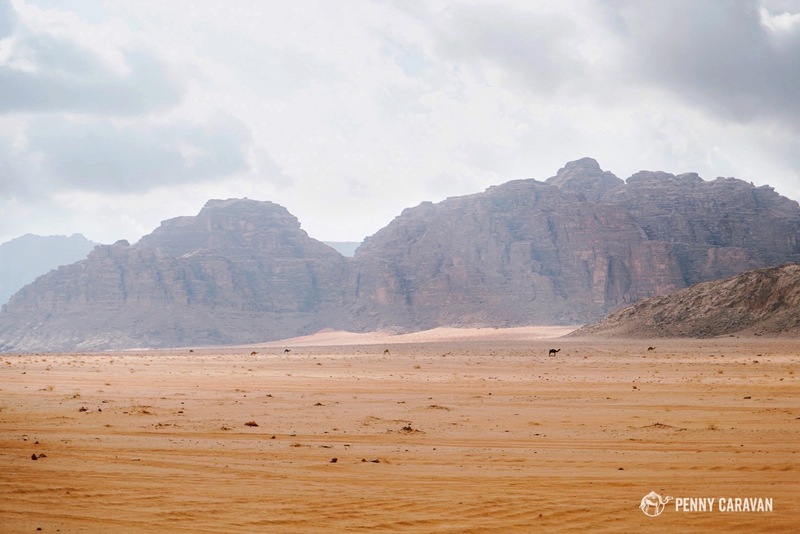 Note that it costs 5JD to enter the Wadi Rum protected area, or present your Jordan Pass for entry. 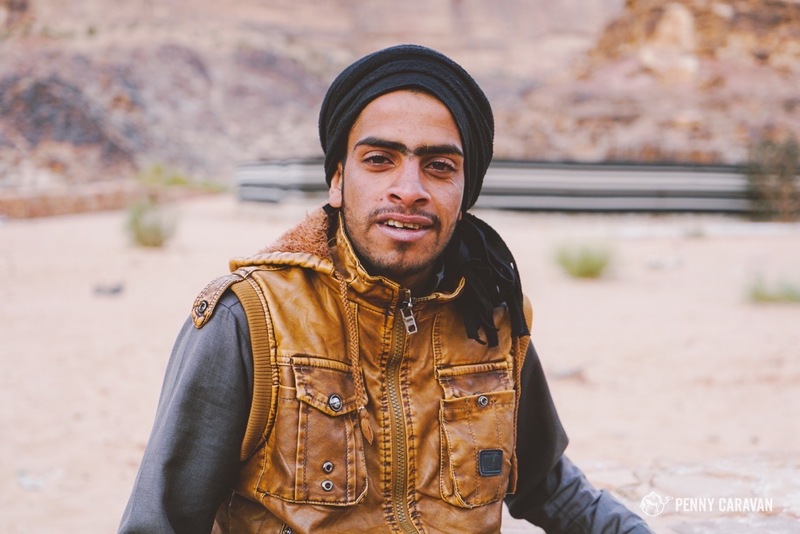 If you’ve booked a stay at a Bedouin camp, it’s common to arrange with them whichever activities you are interested. 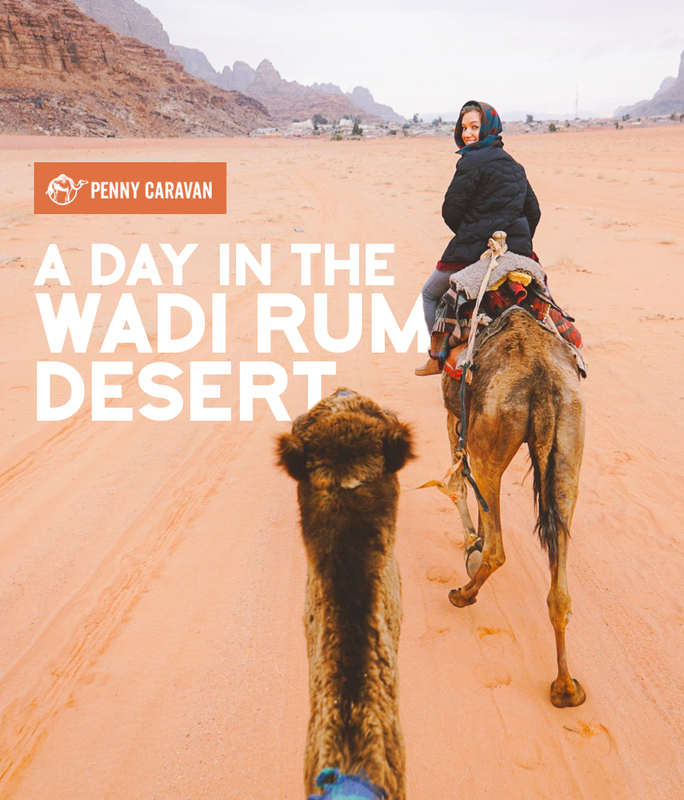 We stayed at the Wadi Rum Luxury Camp, and were able to add on a 4×4 tour of the desert along with a sunrise camel ride. 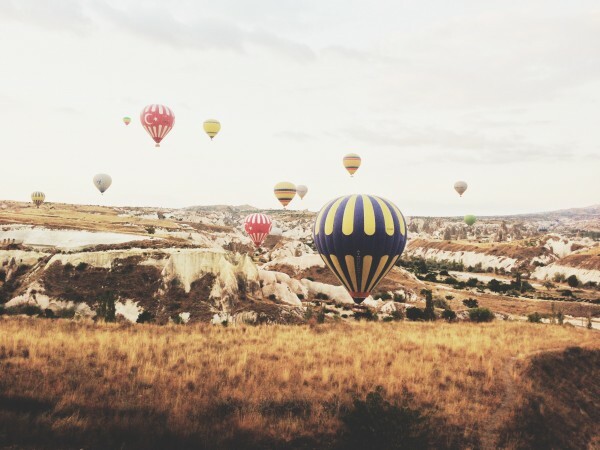 Other popular activities include horseback riding, trekking, dune sledding, and rock climbing. 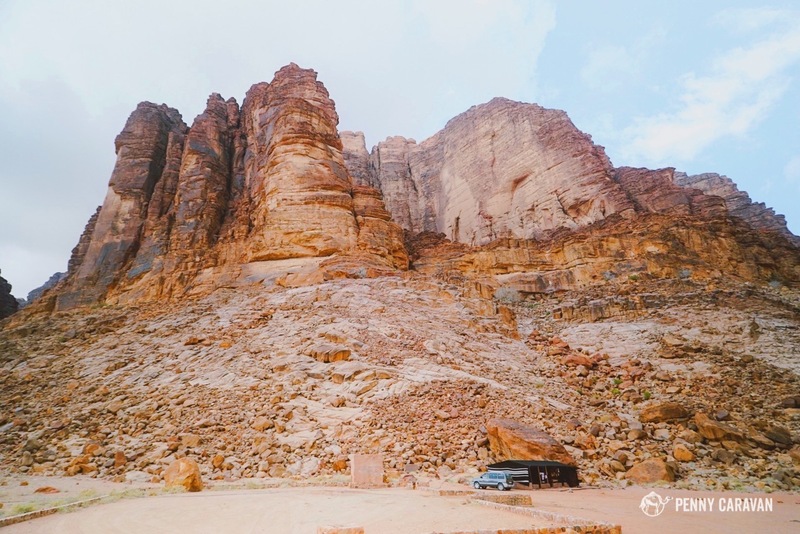 One of the best ways to see the notable sites of Wadi Rum is via a 4×4 tour. 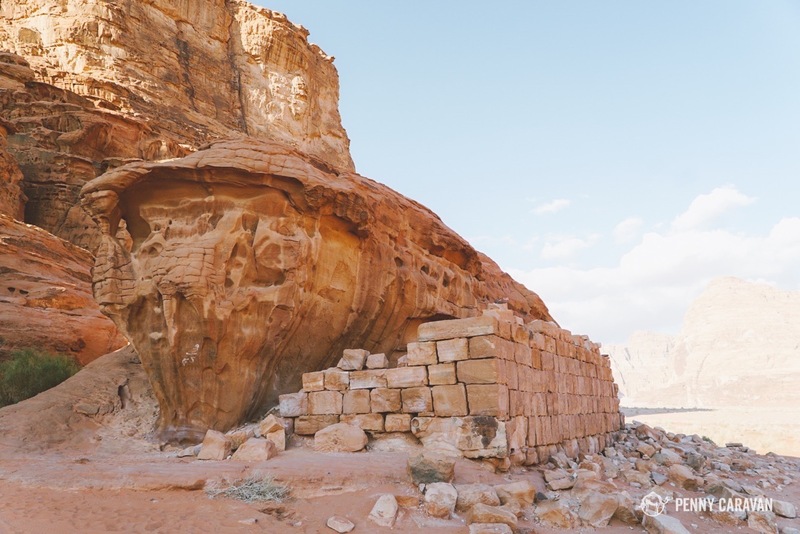 You’ll get picked up in Wadi Rum village and whisked across the red valley stopping at notable geographic and historic sites. 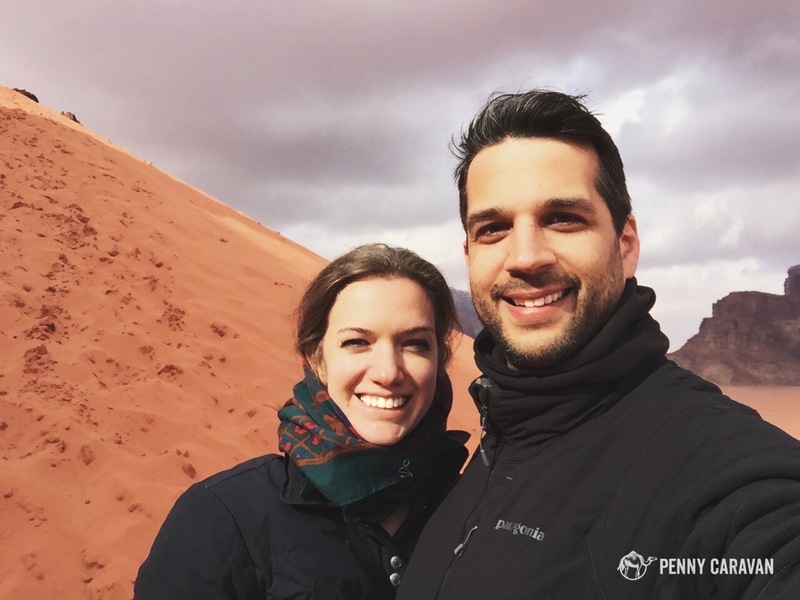 We arrived in Wadi Rum shortly after noon and spent about the next 3 hours traversing the desert before being dropped off at our overnight camp. As soon as you leave the village, the desert opens up before you. 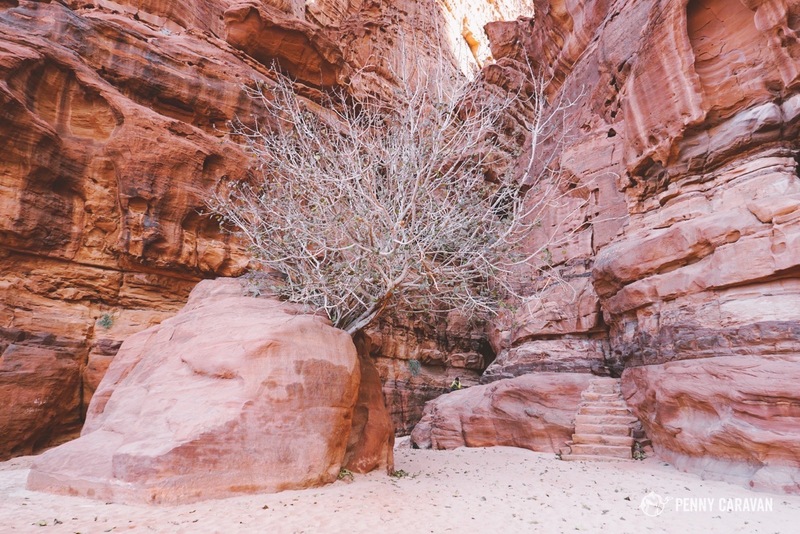 Look out and you’ll see the large sandstone rocks jutting out from the red desert floor. 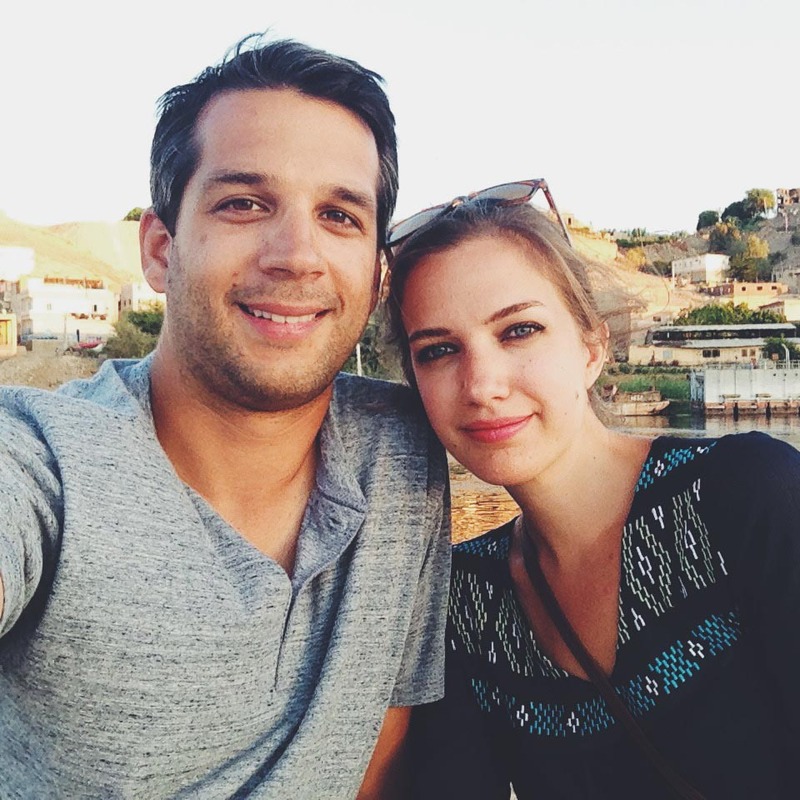 We spotted walking tours (hope they had plenty of water!) 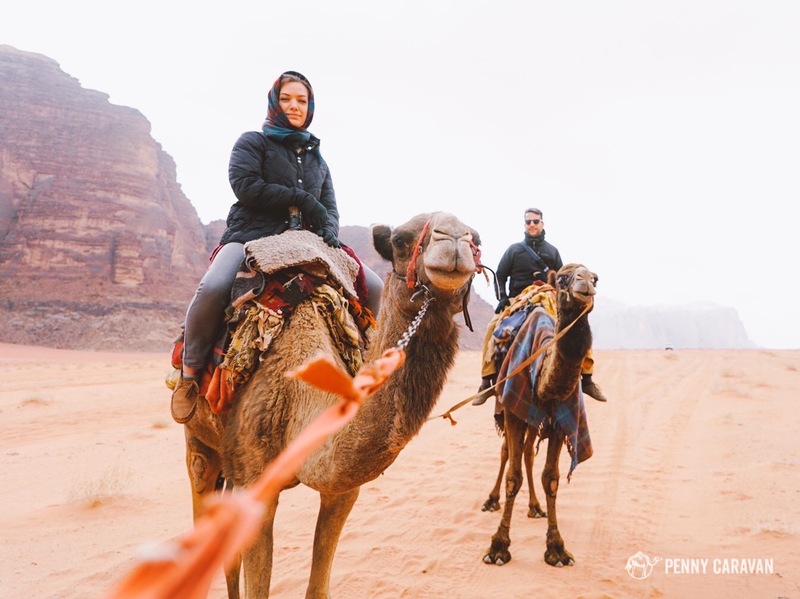 as well as some camel and horseback riders. And of course there are other 4×4 trucks zipping travelers around to the highlight sites. Riding in the back of the truck. Despite the cold, we opted to sit in the back of the truck. It was super cold and windy, but absolutely worth it for the views. Some people on a walking tour. The first stop on our trek was Lawrence’s Spring, a horse watering station built by T.E. Lawrence’s company during the Arab Revolt. It’s fed by a natural spring in the rock wall above it. To the side is a large boulder inscribed with ancient petroglyphs. Lawrence’s well beneath a giant rock face. Your drivers will take time for you to explore some of the interesting geological features of Rum as well. Next we stopped at a natural arch bridge, climbing up to the rocky outcropping to reach the thin strip of rock. It was a little scary walking across it as it felt like a gust of wind could come and knock you off at any second. Definitely not for those afraid of heights. Arch—it was scary to walk across! 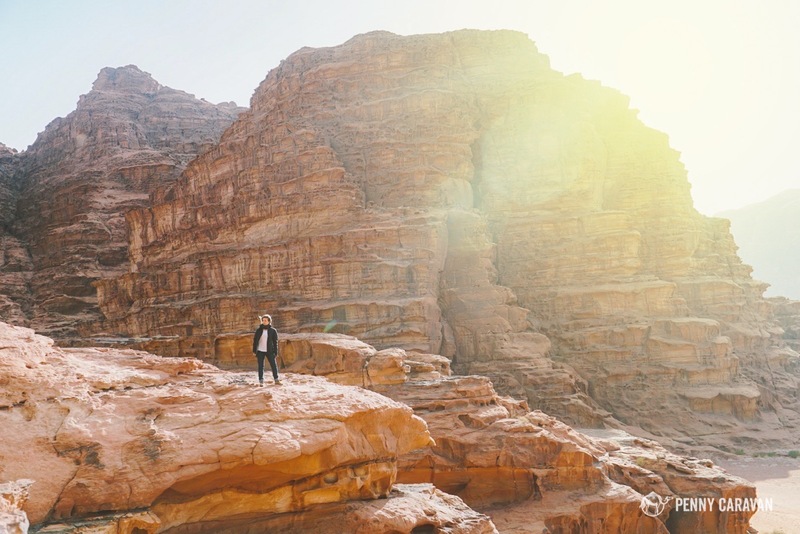 The sun cast beautiful light across the desert features. iPhone panorama from the top. 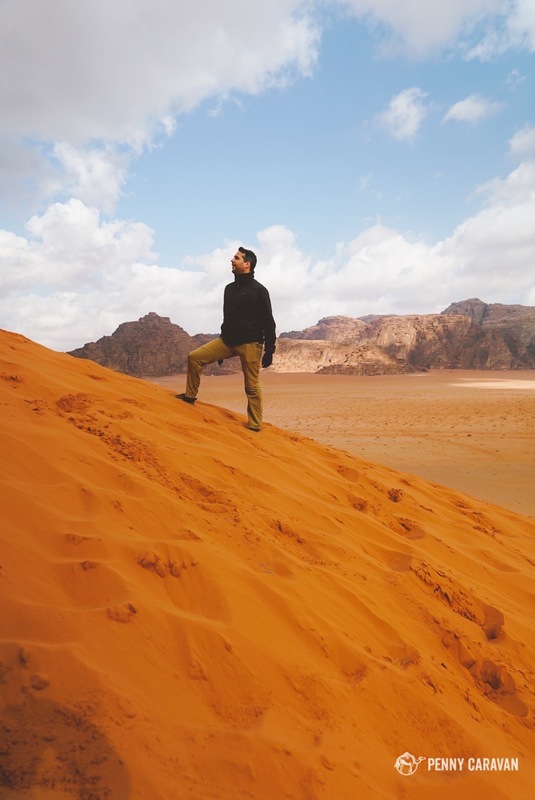 The wind has created massive sand dunes across Wadi Rum. You can see in the pictures just how immense they are! Of course that makes them an ideal stop for visitors. Run to the top for great views, or rent a sled and slide back down. Warning: you will get sand in your shoes! Your calves will get a good workout as you ascend the soft face of the dune. View from the top of the dune. Panorama from the top of the dune. Continuing on we came to an imposing rock wall with a narrow canyon separating it. 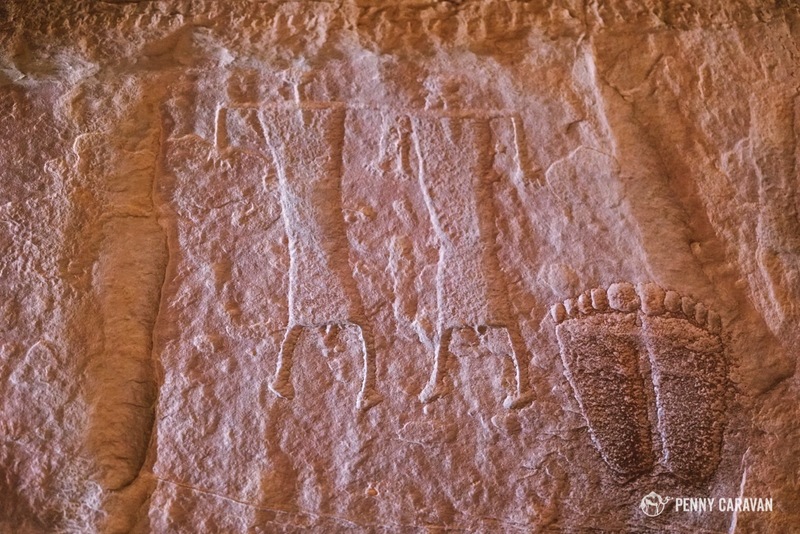 Inside the narrow cleft were petroglyphs from Nabataean times, depicting various figures and animals. Along the floor was another pool of water, fed by another close spring. 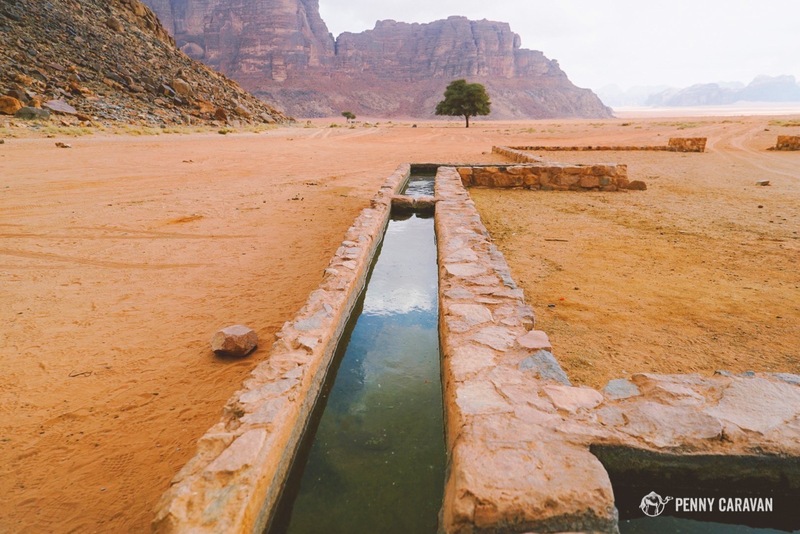 Water is obviously life in Wadi Rum, and the petroglyphs are the evidence for the frequent stops made here by caravaners traversing the desert. Take a moment to let your eyes wander up and down the walls and you will see etchings of families, the now-extinct ibex, and other local fauna. Approaching the immense rock wall. Carved steps lead you along the wall. 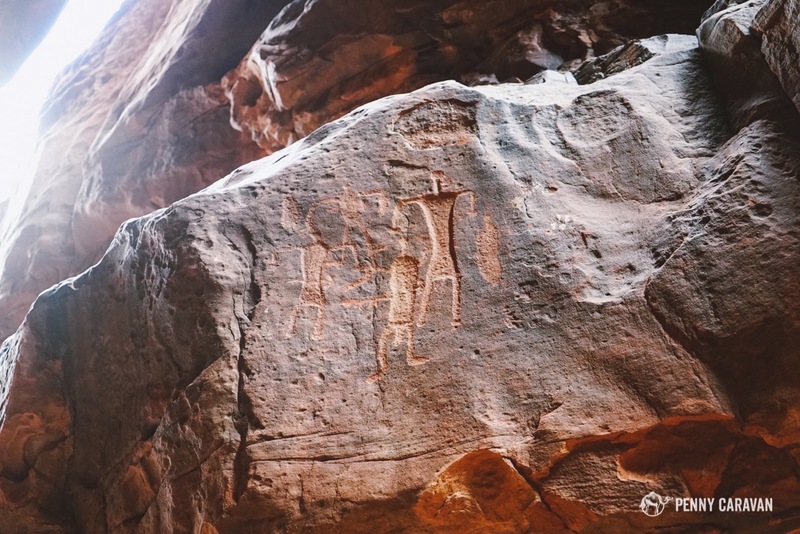 Walking through the wadi to see the petroglyphs. Our last stop before heading to our camp had us stopping at “Lawrence’s House.” It’s not for certain that T.E Lawrence built this structure, but it’s generally attributed to him, and may have been a weapons storehouse. It’s still a great spot to stop and enjoy more panoramic views of the incredible desert landscape. What remains of a structure attributed to T.E. Lawrence. Rock ledge above Lawrence’s House. Finally we arrived at our camp and were excited to spend the night beneath the stars at this beautiful little enclave. Any qualms you have about camping in the desert will be erased when you see the beautiful tent they have prepared for you. 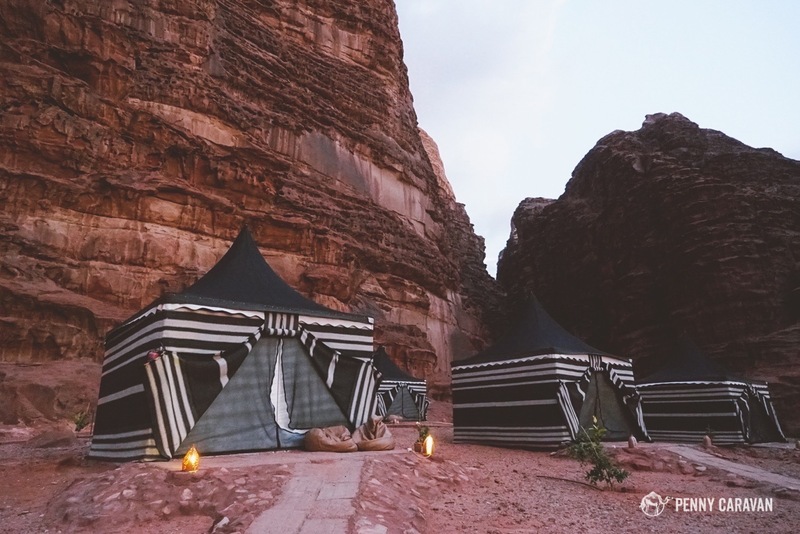 Read our full review of Wadi Rum Luxury Camp for more details and pictures! 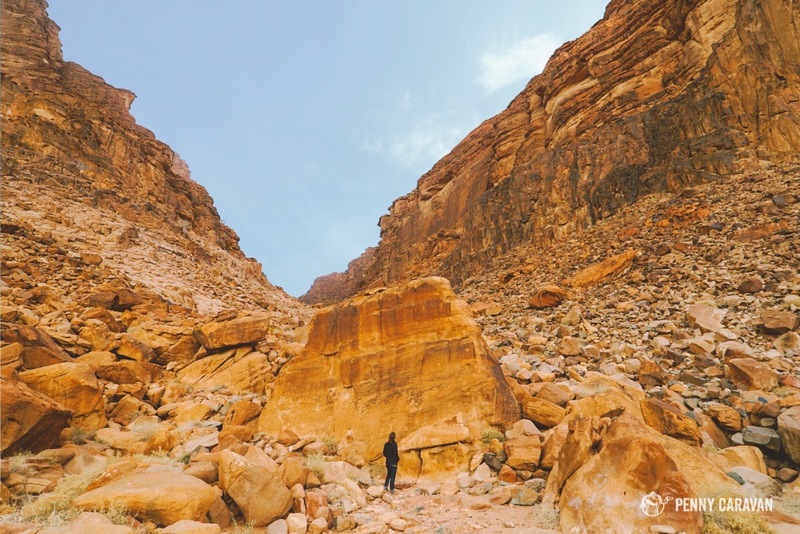 After a blissfully restful night at the Wadi Rum Luxury Camp we arose early the next morning to continue on to the Dead Sea. 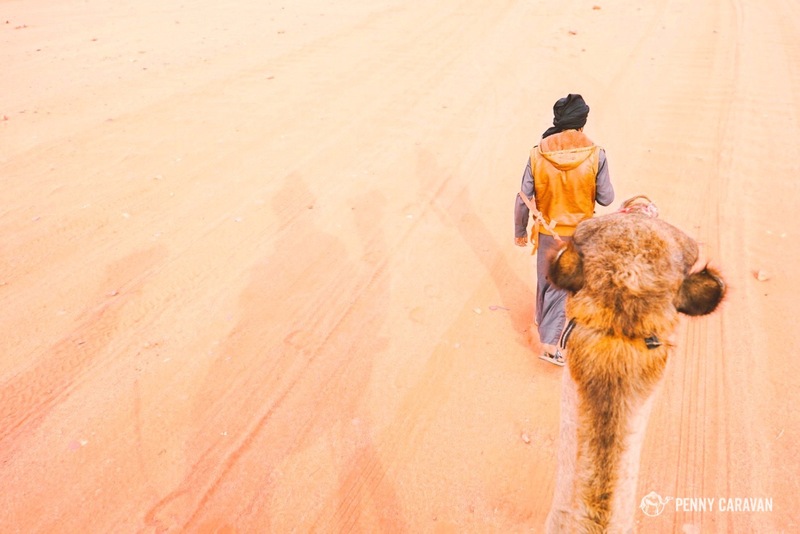 But first, we had arranged for a morning camel ride. Lasting about an hour, we rode our camels back into Wadi Rum village led by our guide Abdullah. 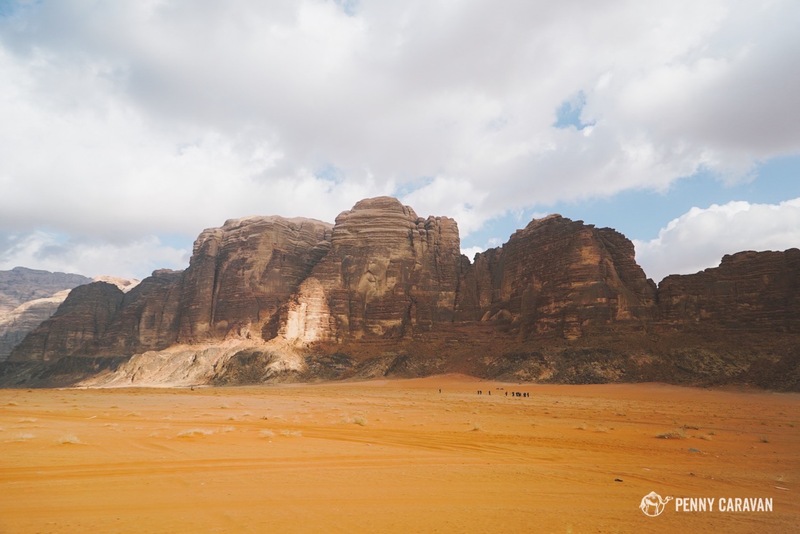 It was a calm and peaceful exit from the desert on a quiet morning, and a great add-on to our time in Wadi Rum. 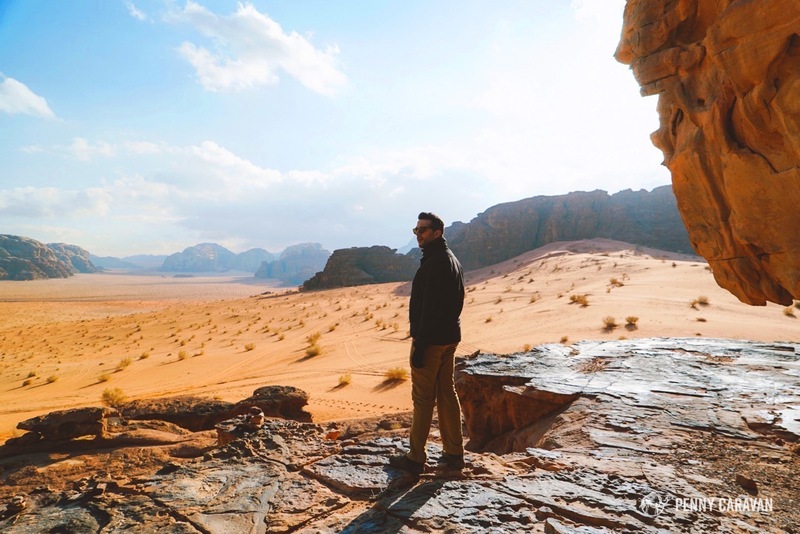 Abdullah leading us back into Wadi Rum. 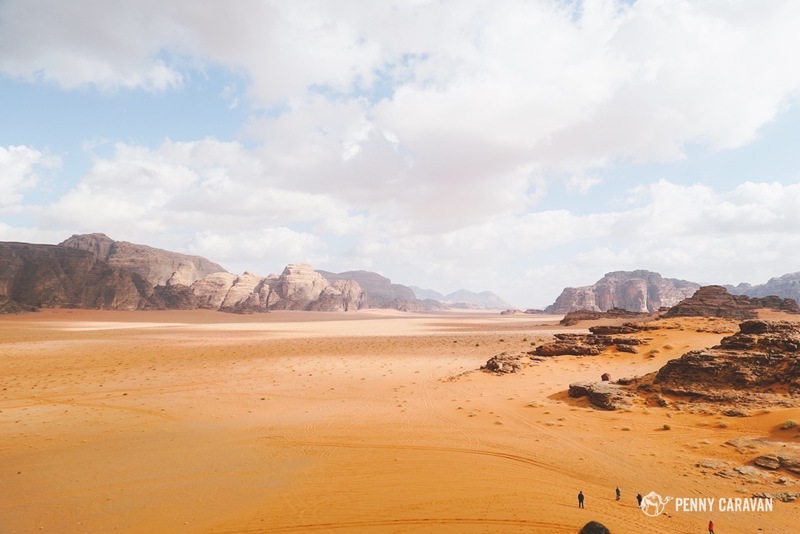 If there’s one thing that would take us back to Jordan, it’s spending more time in Wadi Rum! 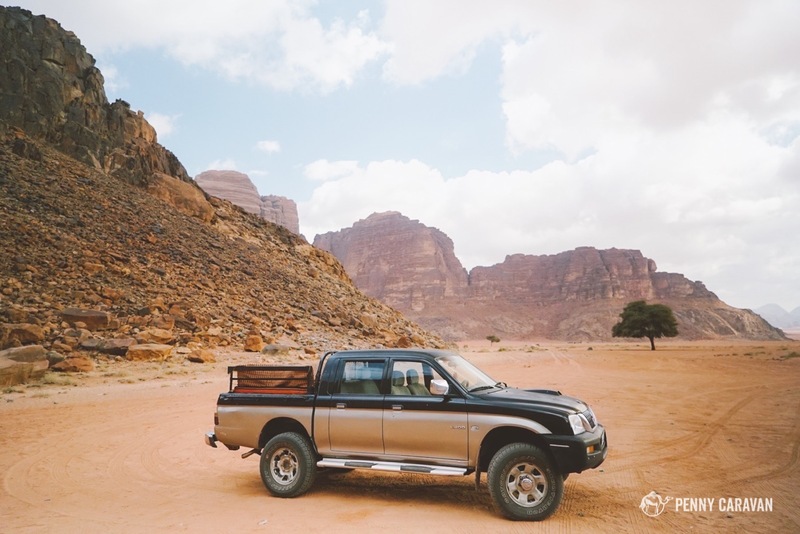 Plan for at least a day and make the most of it with a 4×4 tour and camel ride. 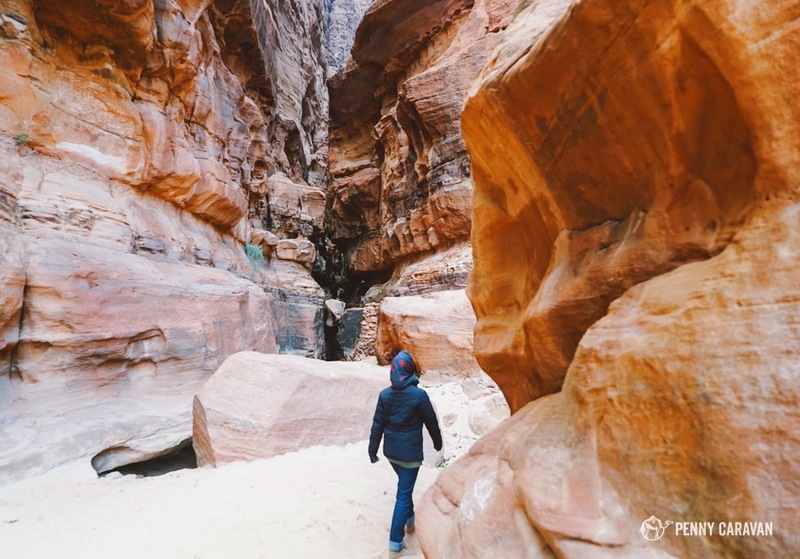 But if you have more time, definitely look into some of the other excursions that will immerse you deeper into this incredible natural landscape. Enjoy!